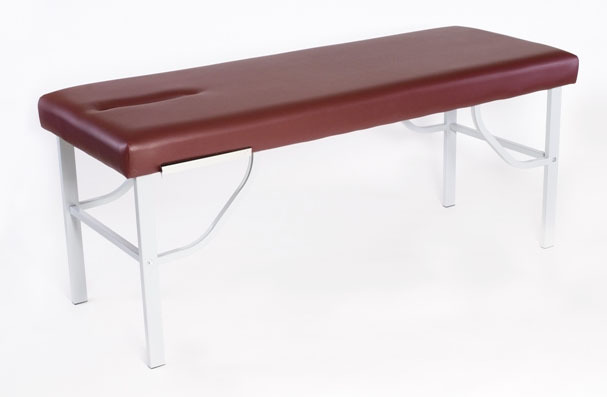 10 position headpiece; 2" high density foam; Padded hand rests; Foot extension/ankle rest; Face paper dispenser; 21"W X 66"L; 17.5", 19.5" and 21" height available; Custom 24" height available; Optional supine arm rests add 7" to table width; Live weight tested at 2,500 lbs, static weight tested at 10,000 lbs. ; 32 lbs. 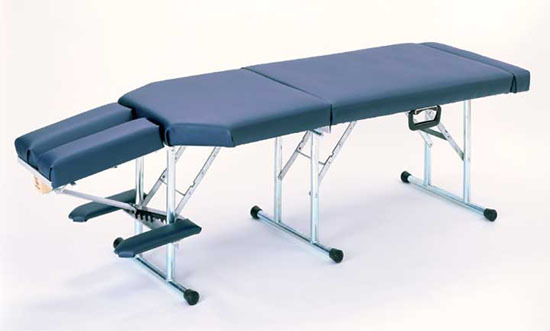 ; Optional height adjustable legs in 16.5"-22.5" or 18.5"-24.5"; 5-year warranty on foam; Lifetime limited warranty. Premium maple hardwood and Russian birch decking. Full-length piano hinge for added strength. Stablefoot leg boots for increased traction. Patented midbrace cradle-lock cabling system. Luxurious, multilayer cushioning system. 100% polyurethane vinyl and CFC-free foam. Weighs 33 lbs. ; 600 lb. weight capacity. 30" X 73", 23"-33" height range. CE listed. Package includes deluxe adjustable headrest, headrest cushion, premium single-pocket carry case, and an adjustable arm sling. Lifetime warranty on frame. 3-year warranty on foam/vinyl. 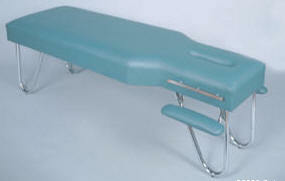 2" high-density foam; Padded arm rests; Chrome legs; Metal paper cutter; 22"W X 22"H X 70.5"L; 5-year limited warranty. 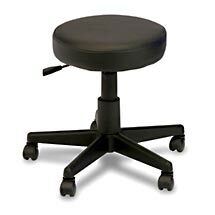 3"-thick padded seat; 2" twin-wheel swivel casters; 20"-27" adjustable height range; 1-year warranty. 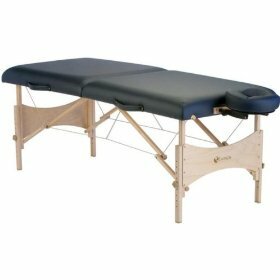 Comfortable; Heavy duty construction; Paper attachment; Easy assembly; Optional shelf available; 24"W X 72"L standard; 25" and 30" heights available; 28" width available; 500 lb. weight capacity; 5-year limited warranty. 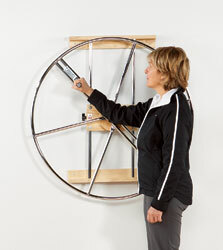 Ball bearings and brake shoe linings make the resistance mechanism more motion sensitive; Arc of motion ranges from 10"-39" by moving the handle; Adjustable height up to 26"; All metal parts are chrome plated; 37.5" diameter; Additional freight charges apply.